It is absolutely gorgeous here at Pirate's Cove Marina.!. We couldn’t have asked for better weather for our anglers today... Only 2 of our Offshore Charters went out today, but the anglers came back happy with catches of Yellowfin, and Mahi... We even had a Inshore boat venture out and caught and released some Speckled Trout... Spring has sprung here on the OBX and the fishing is pretty good too! 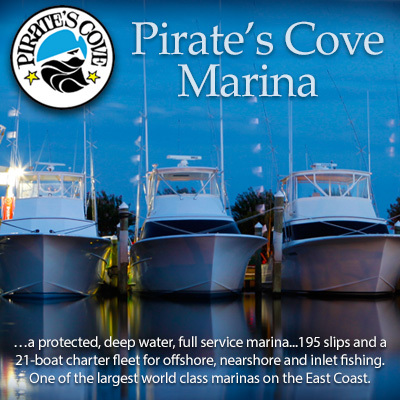 If you want to get in on the action, give us a call at 252.473.3906 or visit us online at www.fishpiratescove.com/charters We want to be a part of your fish tale! !